And here in Waikanae as well as Nga Manu we have the Kapiti Marine Reserve which begins at the river mouth. World Wildlife Day is celebrated each year on 3 March; the inaugural WWD was in 2014 with 3 March as the chosen date to mark the signing of the Convention on International Trade in Endangered Species of Wild Fauna and Flora (CITES) on 3 March in 1973. The day provides an opportunity to raise awareness of the world’s wild fauna (animals) and flora (plants) to ensure the international trade of these species is done sustainably and regulated by the 183 member parties (countries that signed up to CITES). 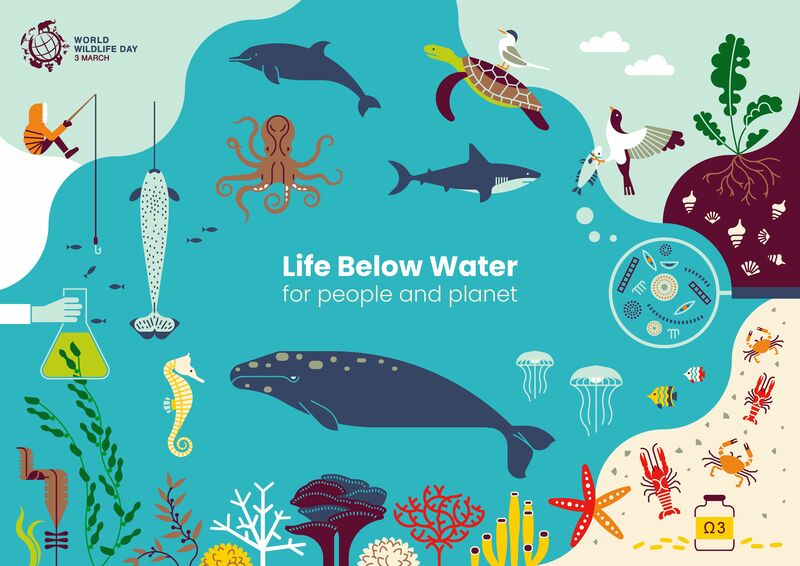 Each year the CITES Secretariat (based in Geneva, Switzerland) sets a theme of focus for World Wildlife Day, this year the theme is: Life below water: for people and planet.